Marketing speaks to legacy YouTube creator Hank Green about the future of branded content and why he despises influencer marketing. Influencer marketing has been the topic of tumultuous discussion in 2018. Does it really work? How should brands go about it? Is it worth it? 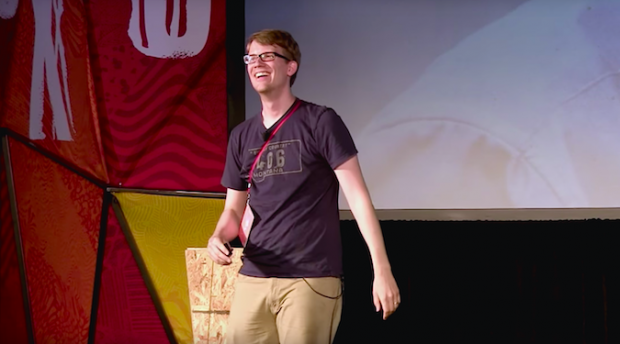 Hank Green proposes that the solution to many of influencer marketing’s woes could be solved by taking a more human approach. One half of the VlogBrothers YouTube channel, Green and his brother John have been creating videos on the internet for more than a decade. With a cult following of 3.1 million YouTube subscribers and an array of internet businesses spanning education, entertainment, technology and events, the Green brothers have had more than their share of experience dealing with brands. 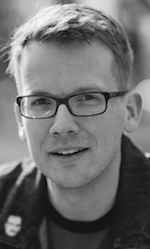 Marketing caught up with Hank Green at VidCon Australia – another of Green’s ventures – to gain his perspective on the relationship between brand and creator, and where it’s headed next. Green explains his disapproval of the term ‘influencer’, “We don’t call ourselves that, so it’s always a little weird when people use that word. Green says he’d like to see the brand-creator relationship evolve from the current landscape, which is occupied by too many superficial deals. “The first one was free, but what else could we do together, maybe? In addition to their video entertainment repertoire, the Green brothers also run a podcast. Dear Hank and John has topped both Australian and International iTunes Podcast charts on multiple occasions. Green explains that his approaches to branded content in video and podcasting do differ. Speaking specifically on the traditional pre-, mid- and post-read format, “we’ve been trying to make it work in online video, but it doesn’t work well… especially when it comes to direct conversion stuff. “If I’m trying to sell a mattress, people click away from the video. But in a podcast people are listening, they’re probably washing the dishes and just thinking ‘let the ad play’. “If there’s an hour long program and you devote five minutes of that to ads, that’s a lot easier than a five minutes video with a minute of ads. We’ve seen traditional media stars such as Kevin Hart turning more of their attention to internet platforms, and we’ve seen internet-first creators, such as the controversial Logan Paul and KSI, penetrate the mainstream. However for Green, the internet age and traditional media forms are not necessarily at odds. “To me, it stops being about the pipe. Is the radio being delivered over AM or FM? Or is it a podcast that I downloaded? “It becomes much less about the method through which the media travels, which is how we’ve thought about it previously. It’s all going to be travelling through the internet – whether that’s satellite or cable in the future – it’s more about: what is the best format for the moment of my day that I’m currently in? “Also, were we not creating because of the limitation of the pipes? Were we not creating content kinds of content for certain mindsets or certain demographics?” Green continues. “It’s weird to say that Logan Paul, KSI and all of the rest of us are in charge of the future of media, but we are. According to Green, the fundamental flaw in influencer marketing (or creator marketing, as Green would prefer it) is that the strategy – in its current state – lacks in humanity. Green says brands should be looking not at what creators can do for them, but at what they can do for creators. “I understand that it’s hard – developing personal relationships in a way that means you’re not just going to be doing one deal with them [creators] but might have a relationship that lasts for years. “What might this relationship look like a year or two years from now? Is there a way that I – as a brand – can be part of the professional development of this creator? Part of their story, part of their ability to make the great stuff that they make, and receive not just the brand message but also some halo effect from their audience. “It goes back to the beginning of the conversation. Why don’t I like the word influencer? Because it removes the thing that we actually do from the equation. “It removes the way that we created the power and the value in the first place and it only talks about how we’re expending the value.